The wet weather of February didn’t put our hard working volunteers off getting out and doing their bit for Snowdonia! They worked hard to manage woodlands, clear footpaths, plant trees, garden for wildlife and clear bamboo. 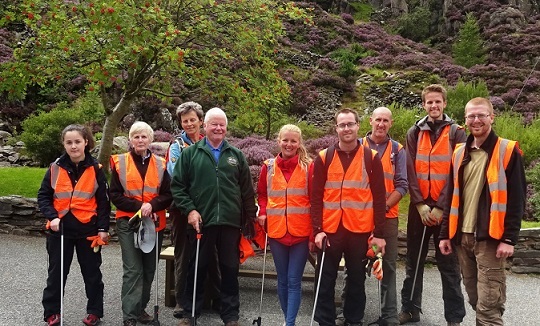 This month they worked over 250 hours to conserve and protect Snowdonia! Da iawn pawb! February also saw the first 8 participants of our Practical Conservation Skills unit to come to their very first session. They spent a very cold day at Tŷ Hyll learning about risk assessments and tool maintenance. A big thank you to them for braving the cold and helping to make sure our tools were up to scratch for the year ahead! 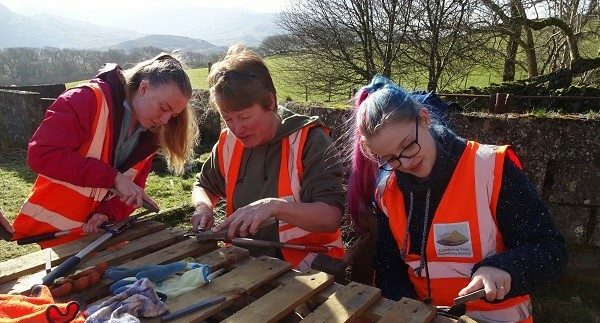 Over the coming months they will attend more workdays, complete their own risk assessments for two different sites and give a site and tool safety talk to other volunteers! Many of them are already well on their way to completing the unit. 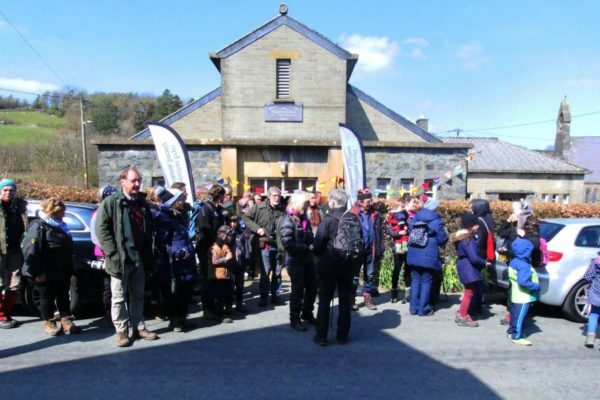 A big thank you to everyone who has made it out to volunteer for Snowdonia so far! Our work really wouldn’t be possible without you. 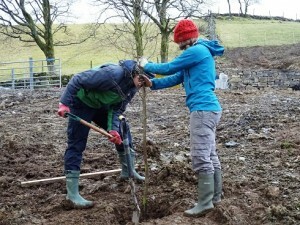 If you fancy getting out this spring, why not check out our upcoming workdays? Everyone is welcome and no experience is necessary.